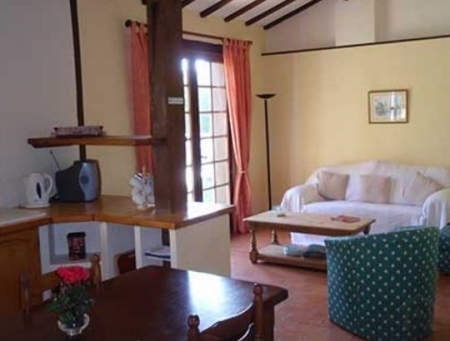 Minervois is a two-storey vacation rental gite for up to 6 people plus a baby. It has an open-plan living room, a double bedroom, a twin bedroom, a mezzanine bedroom area, a shower room, a private garden and a terrace. A delightful orangery connects Minervois Gite with Fitou Gite. 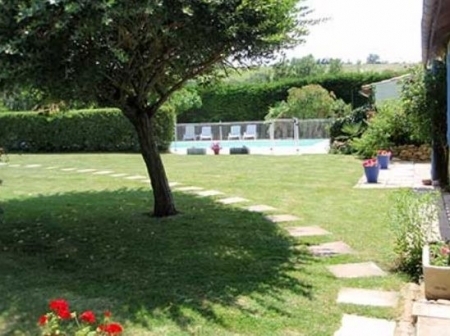 The garden is at the side of the gite and has a garden table & chairs, a parasol and a barbecue for outdoor dining. The gites sunny terrace faces the pool and catches the morning sunshine. In addition, comfortable sunloungers have been provided for a shady, west-facing decked area alongside the gite - the perfect spot for admiring the stunning sunsets each evening. Minervois has exposed beams and a terracotta floor in its open-plan living room, which has a sitting area, a dining area and a kitchen area. Furnished with a sofa, armchairs, a television (French TV), a DVD player and a CD/radio, the sitting area opens out to the terrace, which overlooks the garden and pool. The kitchen/dining area is equipped with a full-size electric cooker, a microwave, a fridge-freezer, a dishwasher, a kettle, a toaster and a coffee machine, along with a washing machine, a clothes airer, an iron and an ironing board. 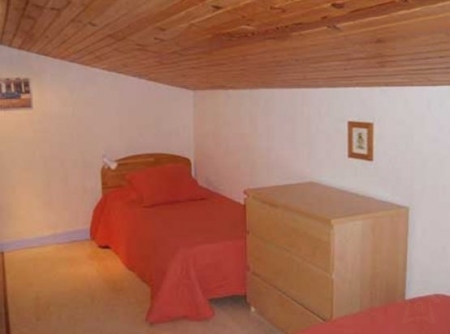 Minervois has two bedrooms - one downstairs and one upstairs. The downstairs bedroom has a double bed and lovely views of the private garden. Also downstairs is a shower room with a walk-in shower, a washbasin, a hairdryer and a towel rail radiator. There is a separate toilet. Steep stairs (with a stair gate) lead up to the mezzanine sleeping area, which is furnished with two single beds. Please note that there is a low beam across both the mezzanine area and the upstairs bedroom, which may be inconvenient for taller people. Adjacent to the mezzanine area is the upstairs bedroom, which is furnished with twin beds. All linen, towels and pool towels are provided. Linen and bath towels are changed weekly. The adjacent orangery, which connects this gite to Fitou Gite, is ideal for sheltered dining as you enjoy the splendid countryside views. 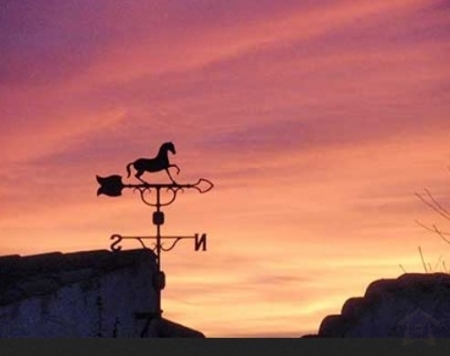 Minervois Gite vacation rental has electric heating for the cooler months. Ample parking is provided in Domaine La Castagne's car park, which is set back slightly from the gites. 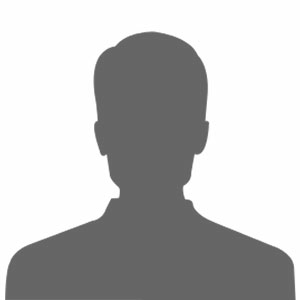 Capacity: all gîtes can accommodate a baby in addition to the capacity stated above. A cot, high chair and baby bath are all available on request. 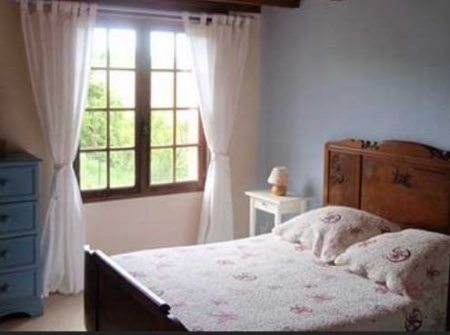 Couples: from October to May, rent any gîte for 300€ per week. Long winter lets: long winter lets are possible from October to March - please contact us for further details. Changeover day: during the Peak season, weekly rentals are from Saturday to Saturday. Flexible start dates are possible at all other times. Prices include: end-of-stay cleaning, electricity, linen and towels. Payment: calculated on the current exchange rate and subject to a £10 handling charge, payment in sterling is possible. Security deposit: a refundable security deposit of 200€ is payable with the balance (8 weeks before the start of your holiday).